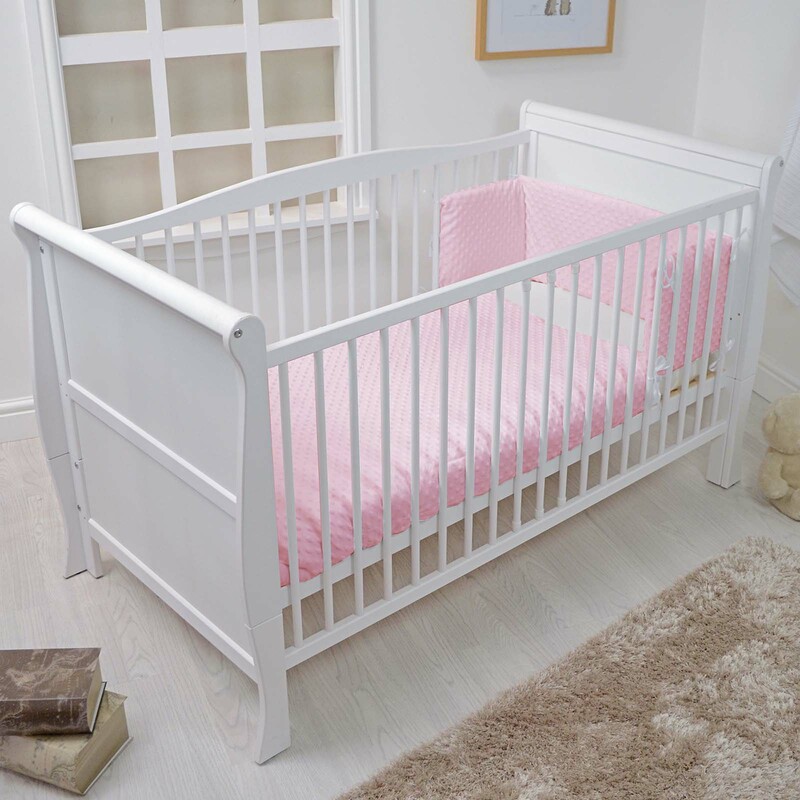 Complete the look by adding the defining touches to the perfect child’s nursery with this luxurious 4baby cot / cot bed bedding set. The 2 piece bedding bale provides you with a quilt and bumper, both of which are made using soft distinguished fabrics which will be comforting against baby’s sensitive skin. The design is features a beautiful soft dimple fabric providing a high level of comfort to your little one as they sleep.